Are you planning to go on vacation anytime soon? With summer approaching, what better way to be prepared than to have your car in tip-top shape? Before traveling, here are a few car maintenance tips to look at when preparing you car for the summer. Heat can be a beast regardless if you are driving in driving down Michigan Avenue from Wayne to Dearborn or hitting the road driving up north. Paying attention to these details will help you hit the road! 1. Air Conditioning: make sure that your air conditioning unit is examined. This will help to reduce air and heating problems. During the summertime, an overheated cooling system is one of the biggest causes for a car to breakdown. Getting your car’s cooling system flushed and refilled every year will help your car tremendously. 2. Brake Service & Oil: it is important to have your brakes inspected and serviced every so often. Never wait until you start having complications with your car or start hearing unpleasant noises from your car to get your brakes fixed. With that being said, having older brakes in your car isn’t safe. Changing your oil periodically is also recommended, especially when taking long trips. 3. Battery: batteries aren’t promised to last a lifetime. They can die at any time of the year. To detect a weak battery, you must have professional equipment. By simply taking your car to a local auto repair shop, such as Mr. Muffler, you can avoid battery acid by getting your fluid levels checked. 4. Lights: cleaning the dirt off all lenses, observing all of your car’s lights and bulbs, and replacing the burned out bulbs will help prevent damages to your light bulbs. Never use a dirty rag when trying to clean. 5. Tires: checking your tires’ pressure monthly and making sure that they’ve been rotated about every 5,000 miles is very crucial. 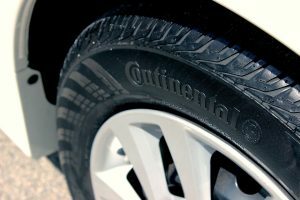 Your tires’ tread life, cupping, and uneven wearing should be examined as well. If you have a spare tire in the trunk, be sure to check that, too. Before getting on the road, inspecting the sidewalks to see if there are any nails, glass, or cuts is highly recommended. Specializing in car maintenance, Mr. Muffler is here to be of aid for you. We offer a large range of services in which include brake replacement, radiator flushes, oil changes, and electrical work. We are really known for our outstanding auto service and repair work. Located in Westland, our mechanics work hard to satisfy our customers. Please avoid the hassle this summer and come to our local auto repair shop today!